Update: Time to vote on answers, or post your own. Thus we have many low-quality questions, many of which get closed. I think we could prevent some of this by warning people with tag warnings (also called "tag tips", originally introduced here), which show up when asking a question and adding a tag that has a warning. It won't stop it completely, but I think that it would definitely be a help, since so many people are receptive to make the change after they're told manually by someone. If we come up with a wording most of us agree on, a CM can put this in place for the tag. It would probably be good to include some other information such as a suggestion to check a thesaurus if relevant, or a link to the tag wiki. However, it can't be too long. I'm not sure what the maximum is (do note that RPG for example has a warning with 455 characters), but there's also a limit to what people can reasonably be expected to read. Votes on this question signal whether you are for or against a tag warning in general. If you have a suggestion for the wording, post an answer. Voting on answers expresses agreement/disagreement with said wording. If you have a minor change, leave a comment on that answer. I'd like to see the tag wiki reorganized so that the information people need to see is at the top instead of at the bottom after they've already run out of patience. I'm pretty sure most people correctly tag their questions with single-word-request (or a synonym) when they ask it. The query below tells me that as of the last update, there were 12260 questions that started out with the tag. Checking the tags page tells me that there are 15851 questions with the tag right now. This gives ~77%, but some of those original 12260 questions that originally had the tag don't have it anymore, so it's more of an upper bound. Deleted questions would also affect the numbers. Feel free to mess around with the data, but I think what's important right now is that we get a warning on swr ASAP. Per Laurel's request, this is one potential wording. The answer is Community Wiki so please feel free to edit for brevity, clarity, and felicity (but if you fundamentally disagree with the listed requirements it might be better to make a comment or a different answer). Review our full requirements for more info. This list is primarily taken from the tag wiki, in particular paraphrasing the "Question checklist" at the bottom. The bolded item is taken word-for-word from the main tag info. For those who don't want to follow the links, the "thesaurus" and "dictionary" links go to the appropriate answers in our reference works Meta FAQ. The "full requirements" link is to the tag wiki (same as the link in the paragraph above). Tell us which words were discarded after using a thesaurus or a dictionary, and why. If the word you're looking for is an adjective/noun/pejorative/slang, etc. I have a qualm with this, in that we need to consult a community moderator. That makes altering these rules harder if ever deemed necessary. I dislike that the contextual sentence requirement can summarily close a question, despite however much better it might than other single word requests be in other respects, and suspect that it actually lowers average question quality. However, that would not be so much of a problem if we had higher compliance in the first place, so I do offer my tentative support for this plan of action. 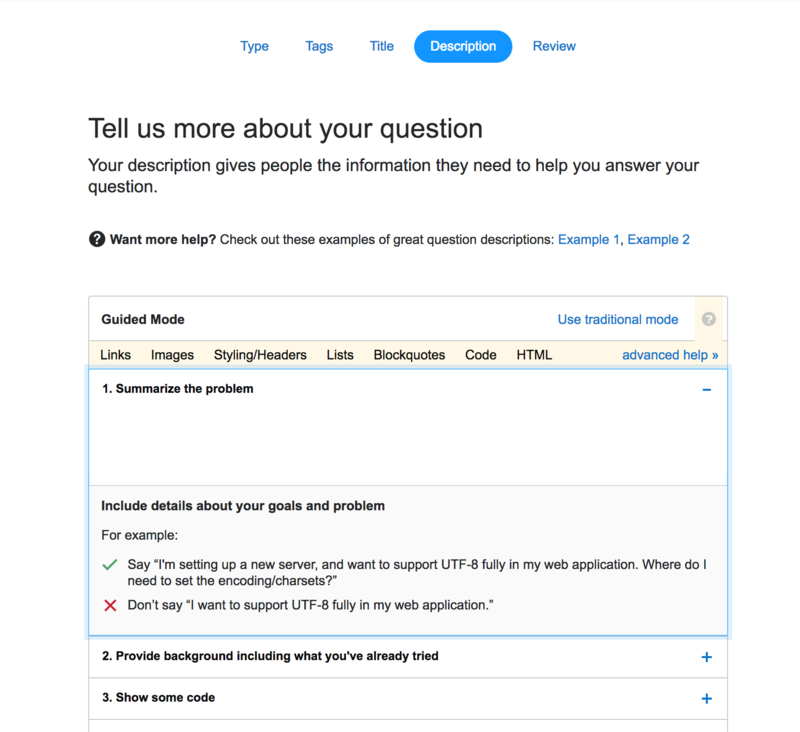 I have my doubts that it will work though: The how to ask sidebar has not really seemed to help us get people to consult dictionaries for meaning questions. Speaking of dictionaries, the normal sort do not really help somebody to find a word, unless you expect questioners to go through the bother of reading every word contained within one and reverse dictionaries are of questionable value, so I advise against the mention of those. Similarly, the contextual sentence requirement exists so we can determine a word's register, part of speech and the such so I do not think we should bother the questioner with that responsibility. Also, we have a separate tags for single-word-requests and phrase-requests to indicate which the questioner would prefer. I would prefer to keep this restricted to common reasons a Single Word Request might actually be closed. Consultation with a cited thesaurus, and why its suggestions were rejected, if requesting a synonym or antonym. I think removing the extraneous details makes it easier to parse, and more likely to be read in full. It also helps it to fit if we have character or list item limitations. Option 1: summarising the problem is something that should be done here too. Option 2: inquiring about prior research is something that should be done here too. Option 3: the show some code question should be removed and in case of a single word request it should be replaced by asking users to provide an example sentence. I think an available option should be no action. I don't perceive any sort of problem with the current flow of SWR questions. (3) an example sentence containing either a [blank] or "that exact string of words" to be replaced. Problem > Overly wordy idea > Box your solution has to fit in. Provide a description of a circumstance that could benefit by taking "an exact string of words" and reducing it to a single one. Then provide an example sentence containing either a [blank] or "that exact string of words" to be replaced. Your question has to meet those three criteria. A description, "a reverse definition", and a place to put the imaginary word. A fill-in-the-blank context can't just be a blank. "allowed to be missing” is just a blank. Where's the rest of the sentence? A sample sentence should be sufficient. The questions you're closing often aren't of low quality. The foreclosure of discussion based on the form of a question reduces the utility of this forum. A comment to this and similar answers has been the mantra "this is not a discussion forum, it's a question and answer site." But asking questions and receiving answers is a type of discussion. Does anyone doubt that James Lipton's or Oprah Winfrey's interviews are discussions? The foreclosure of discourse based on the form of a question reduces the utility of this website. Not the answer you're looking for? Browse other questions tagged discussion feature-request tags single-word-requests . Has traffic on ELU decreased recently? Can we merge [single-word-requests] and [phrase-requests]? For [single-word-requests], should we encourage “there is no such word” as an answer? Should I downvote multi word answers on single-word-requests? Is the vocabulary tag helpful? How do we deal with more than 130 empty tag wikis?